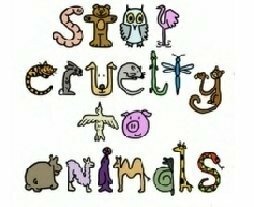 Stop Animal Cruelty. A lovely designed poster to highlight animal cruelty. Wallpaper and background images in the Against Animal Cruelty! club tagged: animal protection animal cruelty animal welfare fan art. who would do something 2 this poor dog! sORRY FOR THE NASTY PICTURES BUT আপনি NEED TO SEE WHAT PEOPLE DO TO ANIMALS! WE MUST HELP PUT A STOP TO THIS !! STOP ANIMAL ABUSE NOW !! We must help STOP THIS !! Look at these pained faces, how could anyone do this???? Actual picture: A caged, helpless animal reaches out to someone in an animal laboratory. u all nead 2 c this! SORRY FOR THE RHINO PICTURES BUT THEY NEED RESPECT!!!!!!!! Rhino still alive after horn hacked off...SORRY 4 THE GRAPHIC PICTURE! What if it was you? Lennox The Victim of BSL! This Must Be Stopped !!!! How can আপনি hurt him???? Is this beautiful one's life worth a little casual experiment? look at this picture and tell me.How could anyone hurt them? The other victim of BSL! I thought সারমেয় are our best friends! Yes , Just STOP !!! সারমেয় and মার্জার used as LIVE হাঙ্গর bait.